Why Is P90X So Expensive? I have read a lot of comments and talked to people who have said they really want to do P90X but its just too expensive for them. I understand $120 might seem like a lot for a home workout program at first. But you really have to break down what you get to justify the cost of it. 1. 14 one hour long workouts. Its like buying 14 different movies. A new movie on DVD costs $15. Since each P90X DVD isn’t an hour and a half like a normal movie lets say each DVD is worth $10. So 12 workouts X $10 = $120. I’m not going to count the bonus workouts. 2. 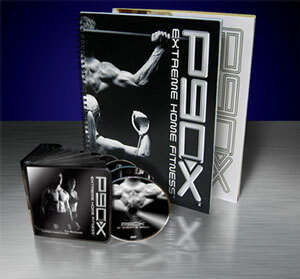 The 100 page P90X workout guide book shows you exactly what to do and more importantly how to do it. The Men’s Health: Book of Muscle sells for about $23 on Amazon. Its a book about the different types of exercises you can do. I did not buy it but it looks very similar to the P90X workout guide except that its not program specific. So let’s say the P90X guide book would sell for $20 on its own. 3. 114 page meal plan called the P90X 3 Phase Nutrition Plan. Its full of recipes and tells you what and when to eat. The closest book I could find to this was Eat Fit: Be Fit which sells for $26. I did not buy it but the description looks similar to the P90X Nutrition Plan. Let’s say the P90X meal plan book would sell for $20 individually. 4. P90X Calendar to keep track of your progress. I won’t give it a $ value. So based on those numbers, P90X is under priced by $40. If anything, Beachbody should be selling it for more. Of course I don’t want them to but they can justify the $120 cost of it. I look at it as a investment now. I’ve done 4 rounds of P90X and it basically has become my workout plan. No more going to the gym. If you look at how much a gym membership costs a year you would be saving money. My gym membership use to cost $720 a year. Trainers and meal plans were extra…a lot extra. Don’t talk yourself out of buying P90X because of the price. Its a investment into your health and fitness. Give it a shot. I know you’ll get hooked on it like I did. If your still concerned about the price then sign up as a Beachbody Coach like I did and get a 25% discount on it. Great article Brad, and although all the points you made have at least some merit… the main selling point is what you stated in number one, because it’s just flat out the sensible truth and even I’ll admit that. Not everyone will really give a rat’s tail about the book and the calendar, the extras, etc, but a significant portiion of health-conscious people have went to Walmart and chunked down 10 bucks for a workout dvd. *That* is your target audience my friend. When you explain it to people in the fashion that you’re getting 12 full fitness oriented dvds, all designed to work in conjunction with one another, and all part of a complete and total “one stop all ya need” program to get IN SHAPE… and considering the entire thing is designed by people who honestly do know what they’re doing… well who wouldn’t find P90X a heck of a lot more appealing and realistically priced then??? To make someone buy a product you have to market it to them in a way that makes sense to *them*, not in the way that makes sense to you. And the vast target audience that sees those infomercials and are aware of what P90X is – are just regular folks that don’t know anything about trainer costs and fancy gym memberships. Most of these peeps might have a membership at the YMCA, and at a discounted rate at that due to their income. Most of those going to fancy gyms are going there because they *don’t* want to just do some floorwork at home in front of their tv. Those who give up their gym memberships to do P90X at home are almost certainly in the minority. This educational consultation isn’t free, please contact me for my mailing information so that you can send me a shiney new P90X… because, you’re in a good mood today. Happy happy Brad right? yeah!